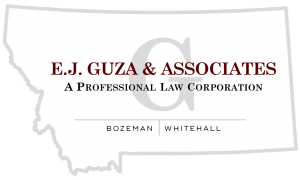 Edward J. Guza is the founding partner of the Bozeman law firm E.J. Guza & Associates, A Professional Law Corporation (formally known as Guza, Nesbitt & Putzier, PLLC). A fourth-generation Montanan, Ed grew up in Great Falls then moved to Havre, graduating as a Blue Pony in 1987. After four years in the Marine Corps, Ed attended the University of Montana, where he obtained his Political Science degree in 1994. Ed attended law school at William Mitchell College of Law in St. Paul, Minnesota. 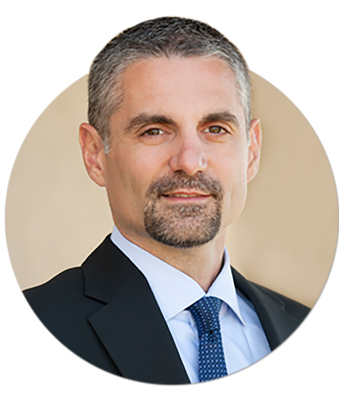 After graduating from law school in 1999, Ed moved back to Montana and began work as an associate attorney with the Bozeman law firm, Drysdale McLean & Nellen, PC. Ed has focused his practice in the areas of litigation and employment law (OSHA, Wrongful Discharge, employment manuals, contracts), with an emphasis on civil defense of construction accidents, and personal injury cases. Preventing Employment Discrimination, Harassment, and FLSA Claims (2006). When Ed is not practicing law, he takes full advantage of living in Montana by taking part in activities such as off-road motorcycle riding, backpacking, hiking, running, skiing, and camping with his family. Verdict: Defense, campground business claims following breakup of 40-year romantic relationship. Recall Petition: Permanent injunction against recall of mayor and council members and declaratory relief. CNJ Distributing, Inc., vs. D & F Farms, Inc.
DiMarzio vs. Crazy Mountain Construction, et.al.